I made this diaper cake for my new niece! I gave it to her mom at her baby shower. It was my first attempt at making a diaper cake. 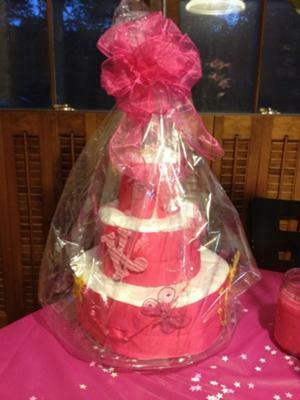 I used size 2 luvs and cover the entire cake in white tissue paper and then wrapped it in pink grossgrain ribbon. 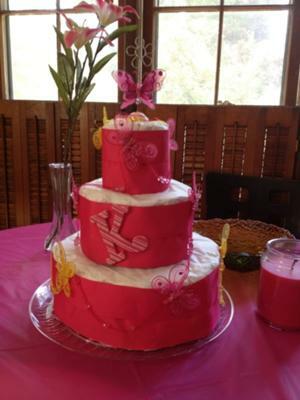 I found the butterflies at hobby bobby and tada diaper cake!